How to Get Started with Affiliate Marketing - CreatingBeautifully.com - start and grow an online business you love! How to Get Started with Affiliate Marketing - CreatingBeautifully.com - start and grow an online business you love! I know that most of my readers here at Creating Beautifully are artists, makers, and creatives – many of whom are currently blogging in order to sell more of what they make. But I’m all about adding multiple streams of income, so you don’t have to rely solely on your art or craft. 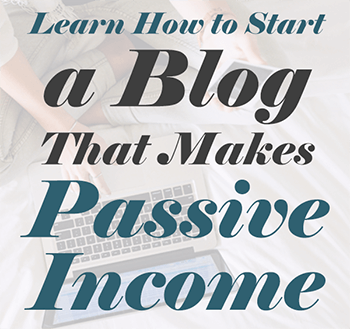 And of course, the more passive that income is, the better! Which is why I want to teach you how to get started with affiliate marketing. Well, if you’re already blogging, it’s one of the easiest ways to make some extra money on the side, pretty passively. Basically you put together a blog post that would be appealing to your target market, promote it on social media (Pinterest, specifically), and watch the passive income come in. Now, I realize that is over-simplifying it, but I’m here today to break down each of those steps into actionable advice. First, let’s talk about passive income… what is it, exactly? I go into this more in-depth here (that link will open in a new tab so you won’t lose your place here!) but basically passive income (in the way we’re covering it today) is money that you make on something you’ve done once (like creating a blog post with affiliate links) and you continue to earn money from that thing for months or years to come. I will say this: making money with blogging and affiliate marketing is almost always a long game: you’re NOT going to get rich overnight (unless you hit the Internet “lotto” and you have a post go viral… if so, lucky you!) In fact, you may never get rich from it at all (because if you’re an artist or maker, you’re probably not going to be blogging full-time.) But if you can make an extra $100-1500 a month this way, wouldn’t that be awesome? I think so! But, that $3.31 came from sales on a page right here on Creating Beautifully where I share my favorite business books. I posted the page once and it continues to make me money (in the form of passive income) every month. So that, in a nutshell, is passive income. Now let’s talk about affiliate marketing: what is it, exactly? The dry definition is this: an arrangement between two businesses (you and another business) where you agree to promote their products and/or services, and in exchange they pay you a percentage of each item sold in commissions. Percentages are typically between 3%-50%, depending on the companies you’re working with. They may also pay you a commission for leads, or a flat rate per sale. The person who buys the product and/or service is not charged more for it based on this arrangement (and in fact, you can sometimes convince companies to offer discounts to you blog readers in order to get more sales! But that’s a more advanced idea, and so we won’t worry about that just yet.) And the company you’re working with will track each person who clicks on your link for a limited amount of time (typically 30-120 days). If that person comes back later and makes a purchase within the pre-determined time period, you will earn a commission. There are a couple of different types of affiliate programs (also know as “referral programs”): those that are directly operated by the company you are an affiliate for (like Amazon or ConvertKit), and affiliate networks: like AWIN (my personal favorite), ShareASale, Skimlinks and more. Networks are nice because you sign up within the network, and then pick and choose which companies you want to work with from their list. I love AWIN (mostly) because they are the affiliate network for Etsy, and I love being an affiliate for Etsy! (I made a class about that on Skillshare, and you can take it right here for free for the next 2 months). Frequently, networks will pay yo to refer other affiliates, too! It’s a win-win! But for the most part, YOU will probably earn commissions by creating blog posts about or around products and services you either: use and love, or love and want. You may also create posts around what you think your target reader uses/wants/and loves! The ultimate is when there is an overlap. You’ve probably seen this in action on blogs and places like Pinterest. If there is a gift round up (like this one I put on my personal/art blog), or an outfit post on Pinterest, etc. But now that you know you can make money as an affiliate, it’s your turn to create a post with affiliate links! First you’ll want to decide on a business to become an affiliate for. You do this by thinking about your blog audience, first. Who is your target reader? Do you have an avatar for them? What might they like to read about on your blog? Once you’ve got a general idea of what kind of blog posts you might start with, find a company or companies to become an affiliate for. AWIN – this network includes companies like Etsy, Aliexpress, Paperchase, Fiverr, PrettyPlumSugar, ArtRepublic and around 200 more. ShareASale – they include companies like RedBubble, TailWind, CreativeLive, Blick Art Supplies, PicMonkey, Zazzle, Freshbooks, Craftsy, and 4400+ more! FlexOffers – this affiliate network has over 10,000 merchants (that’s so many, it can feel overwhelming… but don’t let it be! Just choose the companies that are the best fit for you and your blog, one at a time.) They include companies like Target, Urban Outfitters, Nordstrom, Hobby Lobby, StubHub, Khols and (obviously) many more. While you wait for your approval, why not start creating your blog post now? Programs like AWIN and Skimlinks allow you to add a snippet of code to your posts (before or after you’ve published them) that makes any direct link in your post to a company you’re accepted as an affiliate for a live affiliate link. Pretty cool! As you probably noticed, I included a disclosure at the top of this page that this post contains affiliate links. That is because the FTC requires that I do so. It’s to protect consumers from being mislead by endorsements and such. It’s kind of a bummer, but hey, it’s the law! So make sure you understand the law and disclose any pages with affiliate links – and not just in blog posts but also anytime you share links in an email, social media post, etc. YES, there are people who skip this part, but that doesn’t mean it’s okay. Make even more money with two-tier affiliate program or recurring payouts. Two-tier affiliate programs not only pay you on the sales you refer, but when you refer other affiliates and they make sales, you earn a portion of that, too. Some companies that offer this are: Printful, RedBubble, ShareASale, FlexOffers, etc. Recurring payouts are the bee’s knees, if you ask me! These occur when you sell a product that is, say, a monthly membership or software application. You get paid on referred customers, typically for the life of that customer, or, in some cases, for a pre-determined amount of time (like 9 months or 1 year). ConvertKit is one such company (which is GREAT for me, as I use them and love them so much, they are easy to recommend!) Some others I use and recommend are Social Pilot, Shopify and Tailwind. The fun part: creating your post! I really love promoting things on the Etsy affiliate program (remember: you have to sign up with AWIN first, and then apply as an Etsy affiliate) because it helps other artists, makers, and small business owners. It feels like a genuine win-win for myself and other creatives. (And don’t worry, Etsy is the one that pays you the commissions: not the sellers! Etsy considers it part of their marketing budget, so you’re never taking any income away from the seller(s). There you have it! And you can just create more and more posts like this, promote them on Pinterest and other social media, and over time your affiliate income can grow and grow! A journal prompt for creatives: What do you know? Hi there! I would love to get involved with this! Living in SA, our Rand is really low and earning in overseas currency would really help my family a lot. 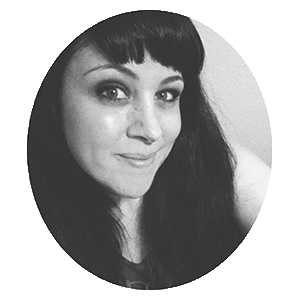 I am a mommy of two girls, art teaching, professional photographer, marketing manager (for a company part-time) and packaging designer… to name just a few things I do… I am urgently seeking incomes that I can grow to become passive eventually. Oh and I love to write, so that’s a plus… my only concern is putting all of me into one niche area to blog about? Maybe you can help with ideas? Maybe something a bit wide? My other instagram account is @compassionart_fineartistry which is my teaching area… I think you will appreciate what my KIDS (students) can do. Would love to hear from you! ooh! That’s a whole topic in itself! I will add that to my “blog post ideas” list and try to tackle it soon.